Yesterday the hubby and I went to Pennsylvania to visit my mother-in-law. On the way there we had to take a detour and we stumbled upon the cutest little book store. It has a perfect little couch and a perfect smell of cinnamon candles burning inside. I was in book heaven! 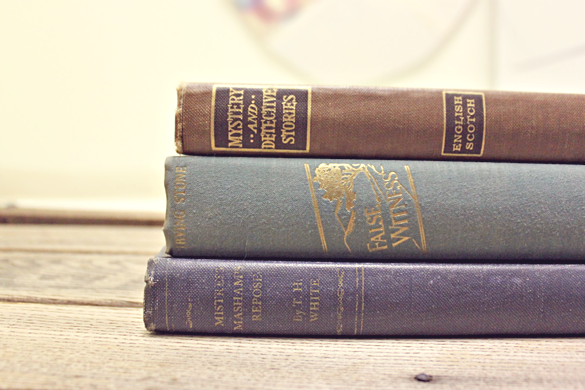 I wandered for about 20 minutes sipping on some pumpkin latte and came out with three antique books to add to my collection. I absolutely fell in love with this place! It's been sitting in the perfect little corner for 22 years! The prices were not bad at all! I scored three books and a cute little owl stamp bookmark for $10. I will definitely be going back to this place! I could live in book stores. They are so relaxing! Mystery and detective stories, heck yes! Me too! I can't wait to go back!! I love old books. They are always so beautiful! Stopping by from the "Follow Me Wednesday" blog party - new follower! Books are my weakness. The older the better! Books are my favorite collectible; i display them all over my house. They are the perfect accessory to everything. Ooooh, what a find!! I love used book stores. I just found your blog on the blog hop link up. I am loving your blog. I'm your newest follower and am excited to follow along! This is like a dream room :) Me and a boatload of old books! Looks like such a beautiful shop! It was! I fell in love the minute I walked in. I would totally get lost in here. This is just my type of shenanigans! Love it! 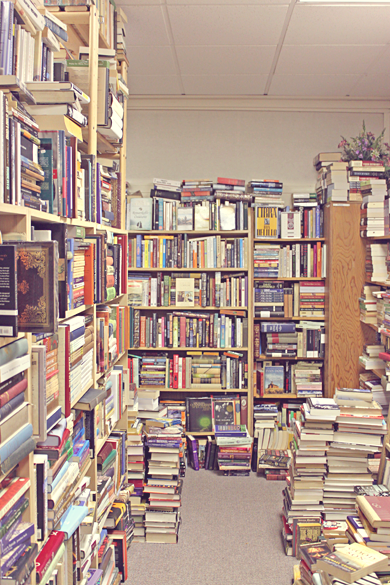 book stores are like entering another world where time moves differently. (too cheesy? sorry, but it's true.) =) beautiful photos. Haha not cheesy at all! I absolutely agree! your blog is super cute and such a happy place.